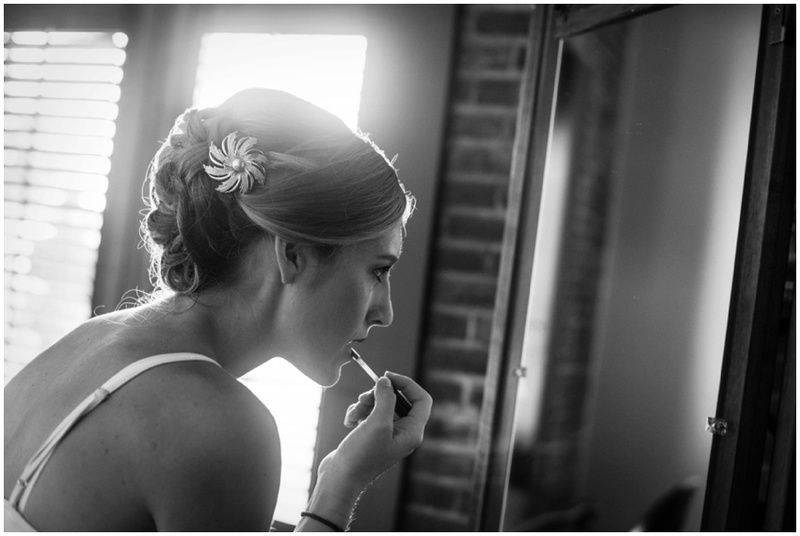 The most stunning getting ready photos are full of incredibly emotional moments that often have had a lot more thought go into them than you may realize... after 5 years of capturing weddings, the question I get asked the most is related to how much time to allow for these photos. While answering that question with a number is helpful (approximately 3 hours +/- before the ceremony is when I like to arrive at your getting ready location, FYI), there's so much more to it than just a portion of time! Here are some critical lessons I've learned, in the hopes that it'll help with your planning and create a seamless and relaxing getting ready experience! 1. Location, location, location... there's no such thing as too much natural light!!! Spacious rooms are great, but if I had to choose between a large space and one with many large windows, it would definitely be the latter. Of course, spacious AND well-lit would be a photographer's dream, but prioritize the light and let it guide you. ;) When light is coming in from various angles, it washes you in a softness that compliments everyone and gives your images that dreamy, ethereal quality. Bonus points if the area right against the window is clear and open - standing close to the light source is ideal. If there are a few items to move out of the way, having your bridesmaids help relocate these items would be a great thing to do before your photographer arrives! 2. Clean the clutter... create a zone. Time during a wedding day is precious and if we spend a good portion of our time cleaning up, it means less time for photos of you. Throw away trash; hide suitcases, boxes against a far corner or under the bed, move extra clothes and shoes into the closet. Keep things organized to allow us to capture photos quickly. A good rule of thumb is to have your girls monitor a sort of 'bride zone' closest to the window; this zone should remain free and clear of any stuff (which can quickly accumulate!) so that we can photograph there and bring different people in and out of the photos as you transform into the stunning bride we all can't wait to see! 3. Designate a 'holder of all the things'... everything in ONE place (generally). The last thing we'd want to happen is to be missing important items from all your bridal details! I've found it most helpful if you can designate one person who knows where everything is or better yet, gathers everything into one place for me to start shooting right when I arrive. The list may include some or all of these: the rings, jewelry, perfume, heirloom photos/prayer books, hairpiece, veil, shoes, garter, letters/gifts and bouquet. If you happen to have a special hanger you'd like your dress photographed on, ask your bridesmaids to take your dress out and hang it up on the hanger prior to your photographer's arrival - steaming it (if necessary) would be a great thing to do early on too since a dress shot is one of the first details a photographer will capture. 4. Don't forget your man... and all of his details. Protip: EMPTY your pockets, gentlemen. No need for bulging, unflattering pockets. 5. EAT, drink and be merry... you have a long, important day ahead! Amongst all the excitement, fun and memorable moments, please don't forget to eat and drink (mimosa, water, repeat...) while you're getting ready! The last thing we want is for you to get to your ceremony and realize you feel lightheaded and haven't eaten anything all day. Hours fly by like minutes (trust me!) - so if there are snacks and hydration available, be sure to indulge! You've made it this far, so I think you've earned at least a cookie or two. 6. Enjoy yourself... it's not everyday you get treated like royalty. Start your day by looking out the window and taking a deep breath. On my wedding day, a hurricane was rolling in (no joke! ); it was cloudy, thick and gray outside. I was in a hotel room with my sister and after tears started forming since I wasn't going to have the bright and sunny day that every bride wants, she helped me realize it didn't matter. We were working with talented photographers that were going to capture the beauty and emotion of the day no matter what! Some things are out of your control for a reason... remember that. Please use us for all of our acquired knowledge over the years! I'd highly recommend reaching out to your photographer if you have any timing concerns or specific shots/moments you want captured as you're getting ready (looking forward to a father/daughter first look? We'll need to build in time for that, so it's definitely worth a mention!). They also may have suggestions based on your getting ready location, if they've photographed there before.